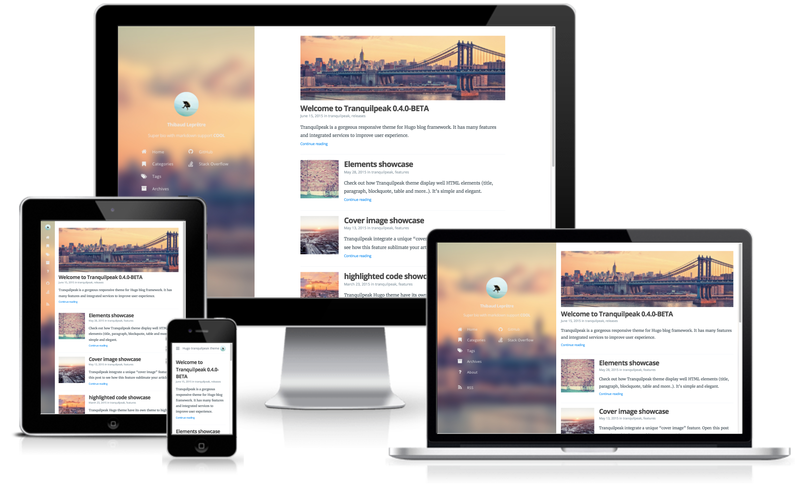 A gorgeous responsive theme for Hugo blog framework. Hugo version keeps every .js and .css files untouched from original Hexo version in order to enjoy future original Hexo version updates or features! Read guidelines for contributing for more information. That mean I would keep a strong dependency with original Hexo theme. Thus if you want to suggest any modifications on .css or .js files I will submit those changes to original Hexo theme (except if it’s really specific to Hugo bugs that is not present on Hexo).